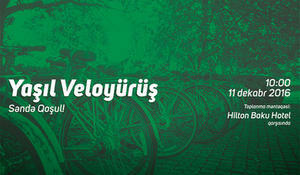 Baku will host a bicycle tour Green Ride, organized by Green ASAN, ASAN volunteers and Azerbaijan Cycling Federation. 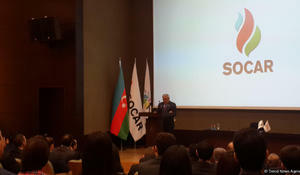 Azerbaijan’s state energy giant SOCAR will cooperate with ASAN Service in the spheres of education, environmental protection, ICT, and support to small-scale business. 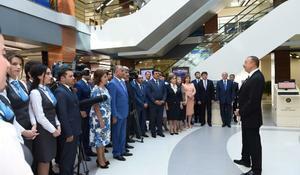 “ASAN xidmet” centers are free of corruption, bribery, bureaucracy and other negative facts, said Azerbaijan’s President Ilham Aliyev at the meeting with members of Gabala district’s public and the staff of the “ASAN Xidmet” regional center. 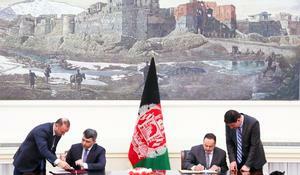 ASAN service, an innovative Azerbaijani model of public service delivery, will be also established in Afghanistan. The ASAN service centers, which already enjoy a reputation of comfortable and transparent agency fighting bureaucracy and corruption, will soon offer its customers news services. A campaign titled "Letter to a soldier" was launched by ASAN Volunteers Youth Organization, Trend Life reports. Azerbaijan plans to stimulate business development in the country by introducing new privileges for entrepreneurs. Azerbaijan’s network of simplified access to government services ASAN Xidmət has been awarded by the United Nations Public Service Award 2015. Azerbaijani citizens will not feel the oil price decrease on the world market. Secretary General of the Council of Europe Thorbjørn Jagland has visited the 4th ASAN Service Center in Baku.